On this day 54 years ago, the Ford Mustang was formally introduced at the New York World’s Fair and the car has become the most iconic American car, serving as the bestselling sporty coupe in the world for the third straight year in 2017. The Ford Mustang was introduced at the New York World’s Fair on April 17th 1964 and the sporty little 2-door quickly became the most popular car in the US auto industry. There have been ups and downs over the years, but as the longest-running nameplate in the US market and one of the leading performance cars, the original pony car is a global legend. The Mustang has often been the bestselling sporty car in the US market over the course of the last half-century, but with the global introduction of the 2015 models, Ford’s pony car has become the bestselling sporty car in the world. To be exact, the Mustang led the sales race of all sporty 2-door cars in the world for 2017, marking the third-straight year in which Ford has held this title. We have previously talked about how the Ford Mustang won the 2017 sales race in the US among sporty 2-door models, but today, the Motor Company announced that the Mustang was the bestselling sporty 2-door in the world for the third-straight year. Based on global new vehicle registrations in 2017, Ford sold 125,809 examples of the Mustang around the world, with cars sold in 146 countries. 81,866 of those were in the United States and the rest were in export markets around the world. 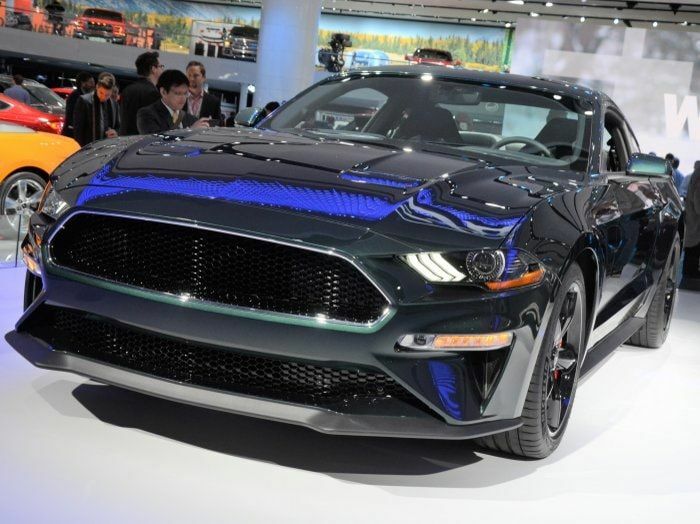 Ford points out the China was a particularly strong foreign market, with 7,125 new registrations making the Mustang the bestselling sporty 2-door among Chinese drivers. Ford doesn’t offer detailed numbers, but the company has stated that the most popular engine option around the world is the 5.0-liter V8. The smaller engines routinely outsell the V8 in the US market, but with the V8 being the only option in some markets, it makes sense that the lopsided ratio of V8s in foreign markets offsets the advantages of the smaller engines in the US. Since the current generation of the Mustang was launched globally began back in 2015, Ford has sold over 418,000 units across those 146 countries where the company sells it through their dealership network. So, Happy Birthday to the mighty Ford Mustang – America’s longest-running nameplate and the world’s most popular sporty 2-door car.